What an epic week it’s been! Before we get into the tasty deets of today’s giveaway, let’s make sure you haven’t missed any of these amazing giveaways, shall we? And we are ending our nine-year celebration with something for EVERYONE! (Well, except vegetarians or vegans — unless you want to gift it to a meat-eater you love!) It’s ButcherBox! I shared on Fit Bottomed Eats exactly why I love it so much (and why we’re an affiliate), but here’s the gist: it’s basically a subscription service that sends AMAZING, high-quality, grass-fed beef, free-range organic chicken and heritage breed pork directly to you house. No two boxes are the same and for $129 a month, you get 8 to 11 pounds of high-quality meat. That’s about enough for about 18 to 25 individual meals that each have around 6 to 8 oz. of meat. So, it’s a hearty amount! 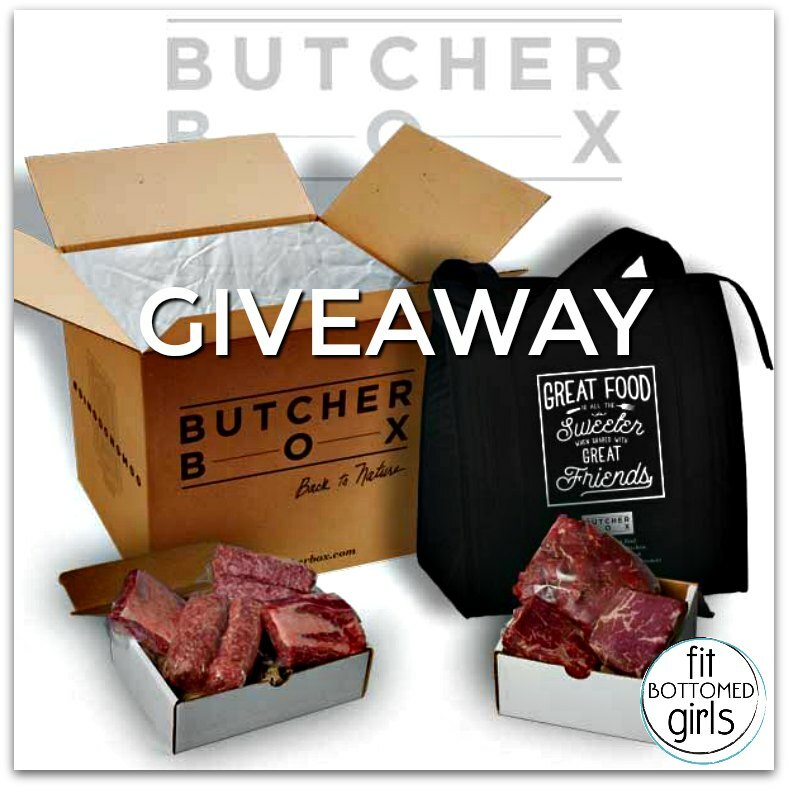 And we’re giving away a free box to one of you (a $129 value)! Entering is easy! Simply leave us a comment and tell us what your favorite post from the past year on FBG has been (maybe it’s one of these? ), and we’ll randomly select a continental U.S. reader in about a week and notify him/her in the comments and via email. Want a bonus comment? Tell someone about this post on social media and leave the link to your update in a second comment. Boom! How You Can Win RIGHT NOW! Bonus! 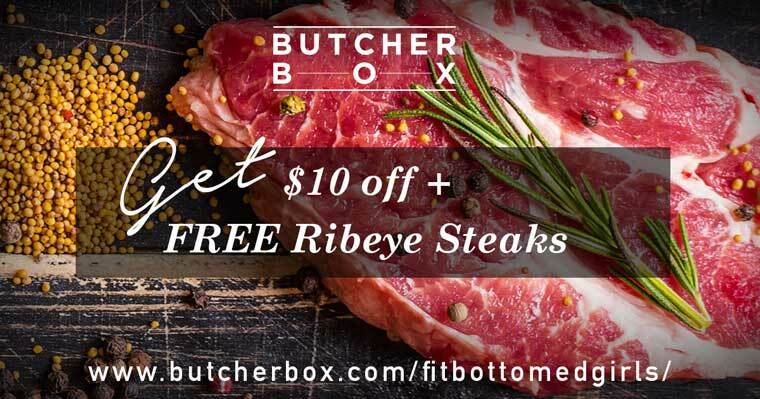 Today through May 27, all FBG readers can get $10 off their first box and get free ribeye steaks by signing up here!